A resume is a list of jobs you've had, things you do well, and information about yourself. 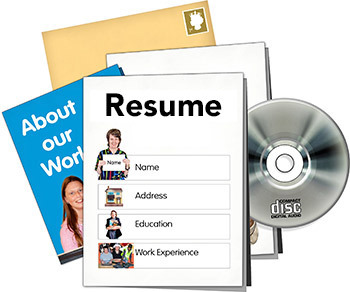 To learn more about how to make a resume, visit Career One Stop. Here, you can see examples, do's and don'ts, and even a sample you can fill in with your information. 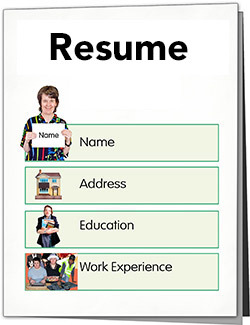 Video Resumes – Instead of writing down your experience on a piece of paper, you may want to show an employer what you can do. See this guide for some tips on creating a video resume.